We all know A Christmas Carol was a great success, but what about the stories that tried to follow it? 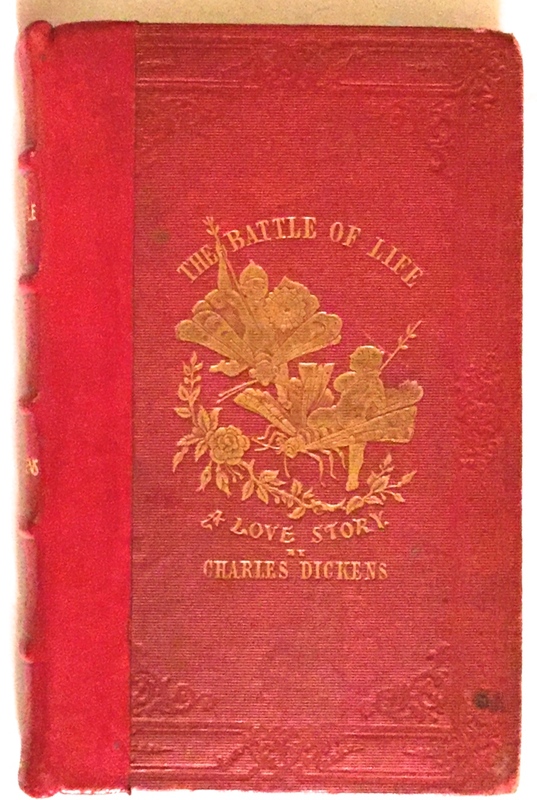 Dickens released four more special Christmas volumes following the publication of A Christmas Carol. I'm reading through them all this year. This third novella wasn’t as unfocused and odd as The Chimes or as charming as The Cricket on the Hearth. It was just sort of... there. If anything, it’s even less Christmassy, as one important scene takes place at “the Christmas season” and the rest is vague, but probably not in winter. The story takes place in a village that sits on the site of an ancient battle. Many characters make reference to the history, and the primary thematic conflict is between the older men who believe that in contrast to the past, life is “too easy” or “a joke,” and the young people, who believe that everyone is struggling in their ways, and just because their battles are of the heart does not make them less important. The plot concerns two young sisters, daughters of a prestigious doctor (he’s the one who maintains that taking anything seriously is a fool's endeavor). The younger, Marion, has professed her love for a young man named Alfred who has been her father’s ward. Alfred is now an adult and is about to receive a trust fund and go out into the world. He promises to return in a few years to marry Marion. More years pass. It turns out that the elder sister, Grace, had long been in love with Alfred as well, but had stepped aside in favor of Marion because she wanted to see her sister happy more than she wanted her own happiness. In Marion’s absence, Grace and Alfred marry and have a child. Finally, after a series of further fake-outs and misunderstandings, Marion returns, and it is revealed that she didn’t go away with Michael, just used him to cover her departure. (She’s more or less been living as a nun without taking actual vows.) She had decided that she wasn’t in love with Alfred and saw disappearing as the only way to get him to notice Grace. It’s all a bit silly and soap opera-y. Everyone agrees at the end that love is the greatest battlefield, or something like that. I don’t know. There just isn’t much to this. Some of the minor characters are fun, in terms of Dickens’ facility with description and dialogue, but the plot is so ridiculous that I can’t recommend it.